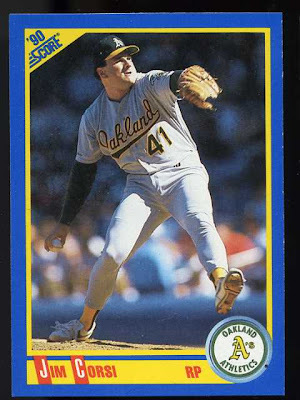 Chris from www.RipkenInTheMinors.com pointed out an interesting Huggins and Scott auction for a 1980 WBTV Charlotte O's Cal Ripken card. It's graded as a PSA 8 and is already up to $1500 with five days left. 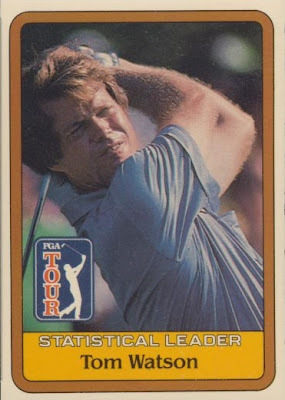 Cool auction and it's always cool to see pics of great players back before they made it to the Show. Just like the 2008 set, there are 220 cards in the set including 35 short prints and 75 rookie cards. 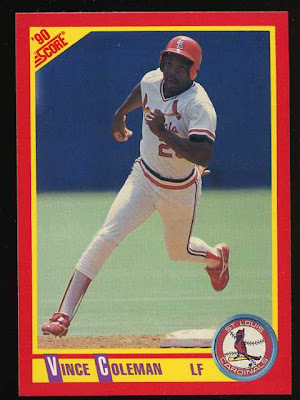 They are numbered from 501-720, continuing the original 500 card set from earlier in the year. 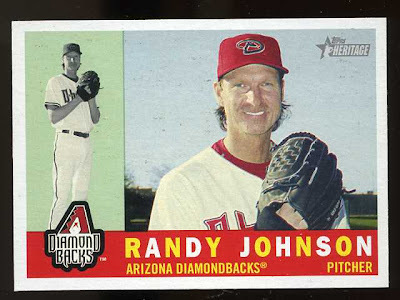 The insert cards are the same as well, including a 15 card Rookie Performers set, a ten card Then and Now set and a ten card Flashbacks set featuring highlights of the 2009 baseball season. There are three 100 card chrome sets. 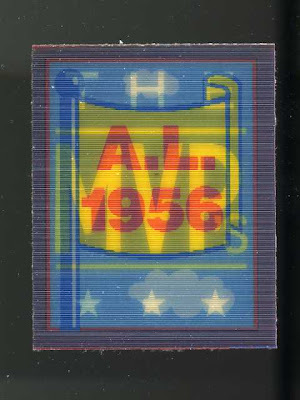 The regular chrome cards are sequentially numbered to 1960, the refractor cards are numbered to 560 and the black border refractors are numbered out of 60. There are 16 different Real One Certified Autograph cards with blue ink versions and the rarer red ink versions which are hand numbered out of 60. There are also five different Real One dual autograph cards that are numbered out of 25. 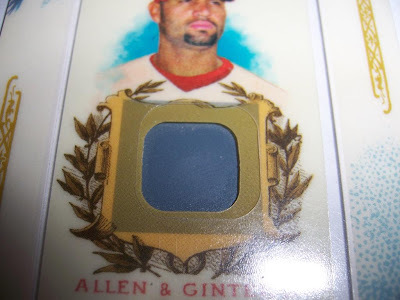 The 2009 Topps Heritage High Numbers set has several different types of relic cards. There are 40 Clubhouse Collection relic cards that are each numbered out of 60, five different Clubhouse Collection Dual Relic cards that are numbered out of 60 and three different Flashback Stadium Relic cards that are numbered out of 60. Ten of the Clubhouse Collection relic cards have autographed versions that are numbered out of 25 and there are five different dual relic cards that are autographed and numbered out of 10. 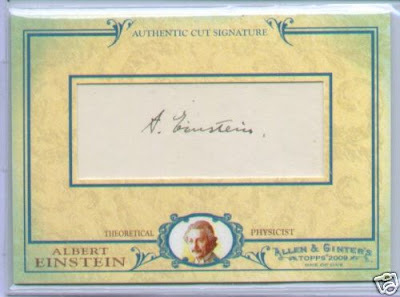 The most sought after Topps Heritage cards are the cut signature autograph cards, and the 2009 High Numbers set has 13 of them, each numbered one of one. 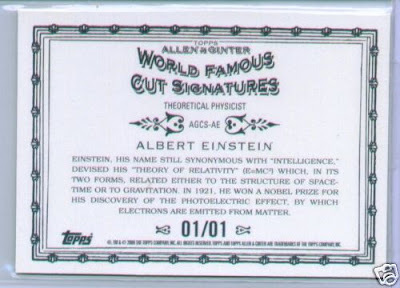 For some odd reason, they are split into two different years with 10 of the cut signatures coming from 1960 and three of them coming from 1959. Maybe they had three left from last year that the forgot to include in the set. If you buy your Heritage cards by the box or case, the make up is essentially the same as in previous sets. 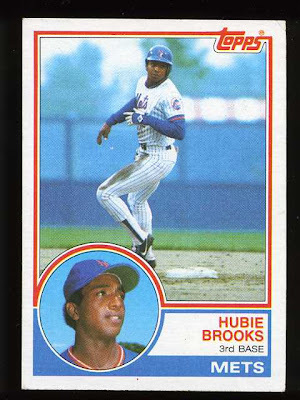 A hobby case yields 12 boxes of 24 cards, and just like in 2008 each pack will include six Topps Heritage cards and two Topps Updates and Highlights cards. 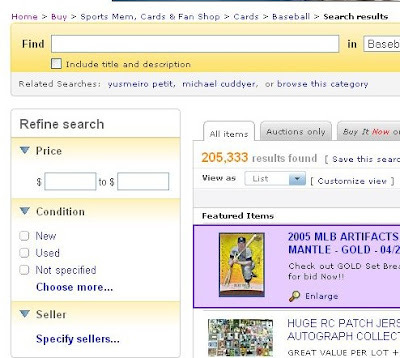 The Updates and Highlights cards drive Heritage collectors crazy, but they are there again. 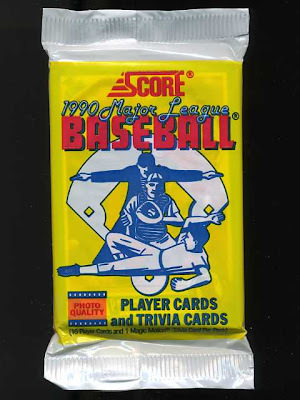 Each box should contain an advertising panel featuring three players and one out of every two boxes should contain an original 1960 buyback card embossed with the Topps logo on the front. 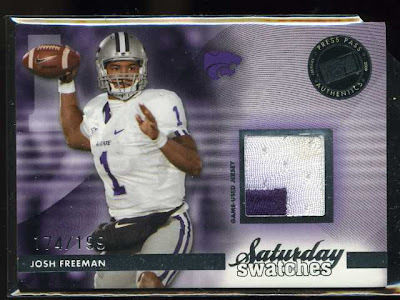 Every hobby box should yield one autograph or relic card. Unfortunately, the autograph checklist does not have many big name players, but last year there were a few last minute additions to the autograph set. Hopefully the same occurs this year. 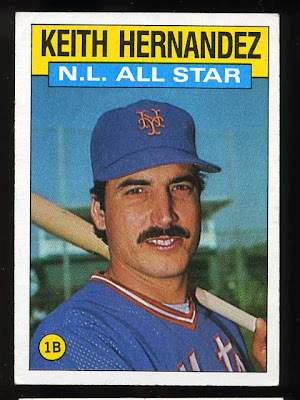 Either way, this set should tide Topps Heritage collectors over until the 2010 set is released in about four months. Amazing. Ran across this video on youtube and was simply amazed. 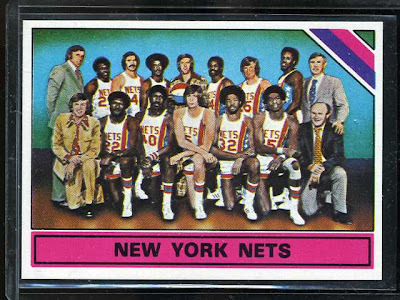 This is one of the most sought after cards in the hobby, and this one collector has four of them! These four cards blow away my entire 100,000+ card collection, well at least monetarily considering an average PSA 6 goes for over $27,000! Even a PSA 1 Lajoie has an estimated value of $4000. 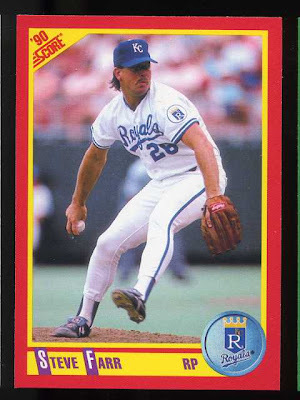 But I bet he does not have the vast variety of KC Royals cards that I keep in the "not available for trade or sale" part of my collection. The card in question is the 1933 Goudey #106 Napolean Lajoie card. 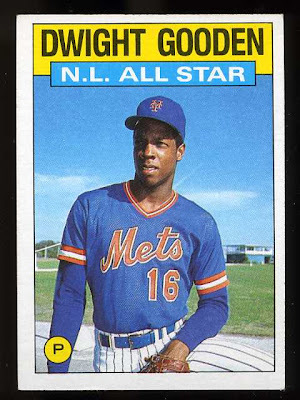 The card was not included in the regular set for some reason, but if collectors wrote a letter to Goudey requesting the card, Goudey would send the card out to the collector. 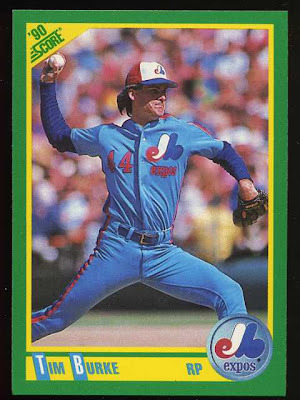 Throw in the fact than Mr. Lajoie is a hall of famer and you have the makings of what most people consider to be one of the three most coveted baseball cards produced. Awesome. As I was sitting at a table at a local card show that I was splitting with a friend, I was talked into buying a box of Topps Triple Threads. Boxes of Triple Threads at the shop are $190 and each box contains two packs of cards. That's right, two packs for $190! We split it three ways so I actually put $63 or so into the packs. 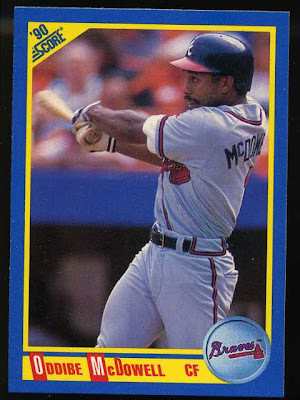 Up until that point in my life, I had never paid more than $3.50 or so for a pack of modern cards. Opening the packs certainly was exciting, much like doubling down on 11 against a dealers 8 in Vegas and waiting to see what card you get. 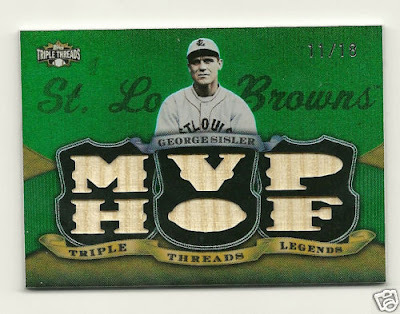 I probably won't be buying anymore Triple Threads anytime soon, but it was fun. Here are the highlights from the two packs. 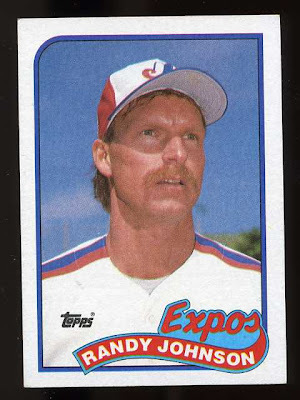 Allen and Ginter, eat your heart out. There is a Jesus H. Chris autograph relic card on ebay right now. It's up to $20 after one hour. This one is actually pretty funny. Here is a link to the auction with a pic of the "card". Cliff brought me several Topps Heritage cards and several game used cards. Here is what I was really waiting for though! "New" and "Used". 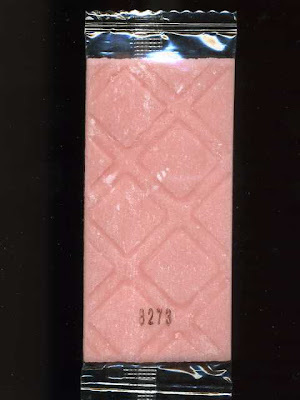 No more "Sets", "Lots", "Singles", "Graded", "1960-1969", etc. I checked my current active auctions and they have all been switched to the generic "Baseball" category. How does this possibly make things easier for buyers or sellers? Come on ebay! 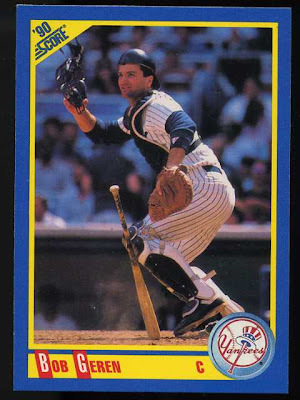 How would you like to be tearing down a wall in your house and happen to find an old baseball card inside of the wall? That would be exciting. 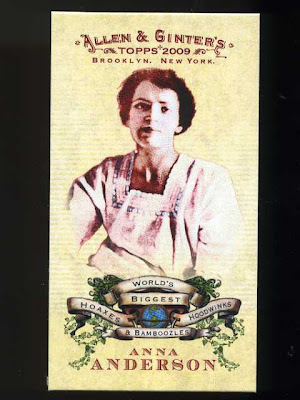 How would you like it if you then found out that the card was a 19th century tobacco card of a hall of famer? 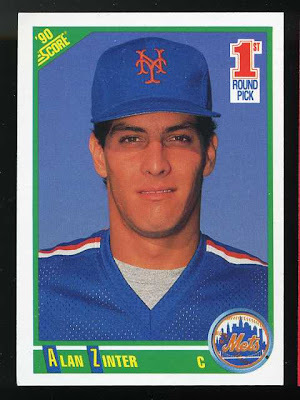 Perhaps a card from one of the rarest baseball card sets of all time. 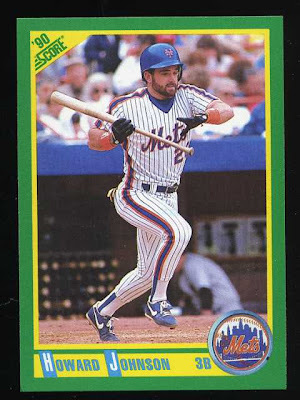 Perhaps the only example of the card known to exist. 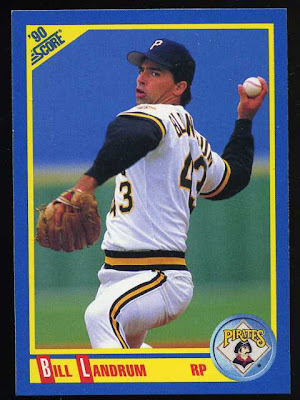 This all happened to Mike Gazo at his mom's home in Tamaqua, PA. It actually happened 12 years ago, only Mr. Gazo did not know the significance of the card until recently. The card is an 1893 Just So Tobacco card of hall of famer Buck Ewing. 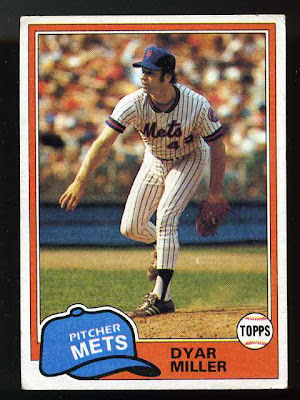 There are only an estimated 15 or so of these cards from the entire set known to exist today, and a Buck Ewing card was thought to have been included in the set but one had never been found. 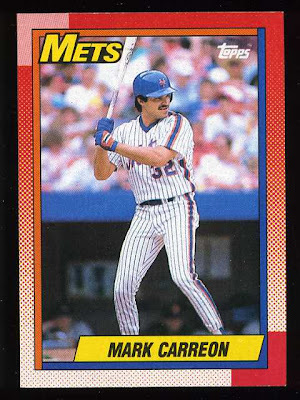 Last week, Mike Gazo decided to find out more about the card as he was looking for things to sell to help pay some medical bills for his mother. 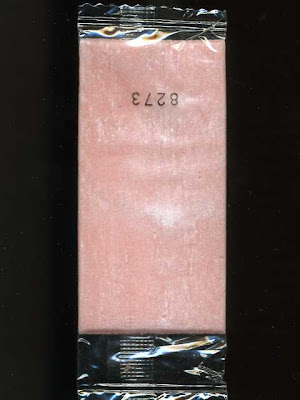 The card will be auctioned off by Robert Edward Auctions in their next auction and should fetch several thousand dollars. It will be interesting to see the bidding on this one of a kind card. 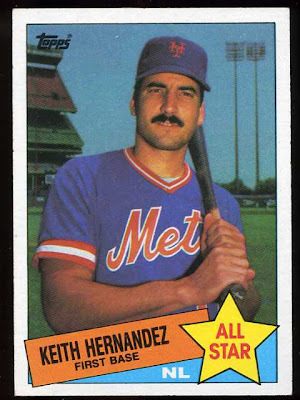 You can read more about the card at Rare Vintage Baseball Card Find. I haven't received any of the cards yet, but scans are popping up on ebay. 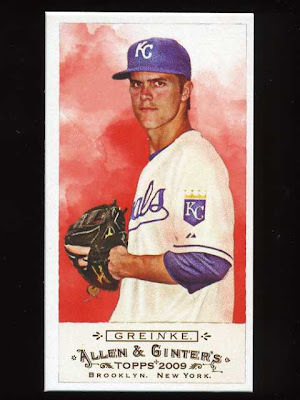 From what I can tell, they are decent looking cards and of course there are tons of rookies and parallels. The basic breakdown of the set is 170 veterans, 50 rookies and 22 rookie autograph variations. There is also a World Baseball Classic insert set made up of 100 players from around the world. 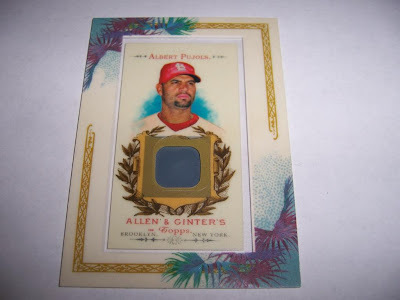 Parallels consist of 1 of 1 Printing Plates, 1 of 1 Superfractors, Red Refractors (#/25), Gold Refractors (#/50), Blue Refractors (#/199) and regular refractors which appear to be numbered to either 499 or 500 (Topps lists both in various places). There are other sets that I like better, but these look like they are worth a few boxes. 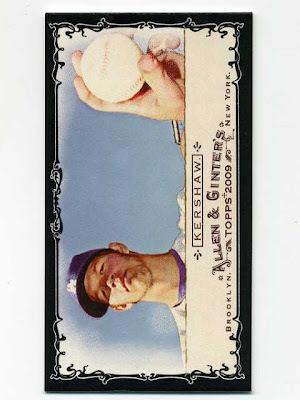 Well, I am still waiting for my cases to arrive, so I broke down and picked up a few blaster boxes of 2009 Allen & Ginter from Target. Here are a few highlights (there weren't a lot). This Beltran No Number mini was the only semi-big hit. 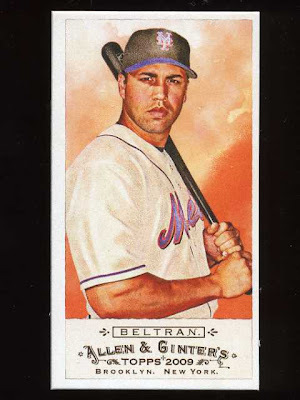 Love watching Beltran play, especially when he was with KC. 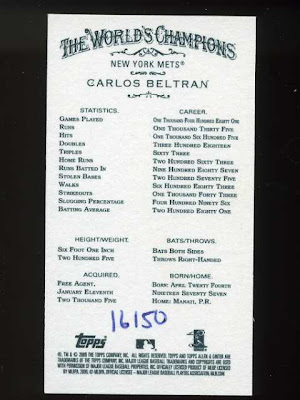 Here is the back of the Beltran card. The no number minis are hand numbered for the first time this year. 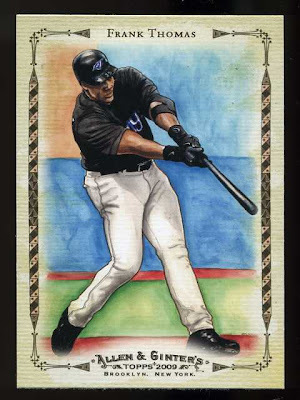 Frank Thomas sketch highlights card. Pretty cool looking card. National Heroes George Washington. 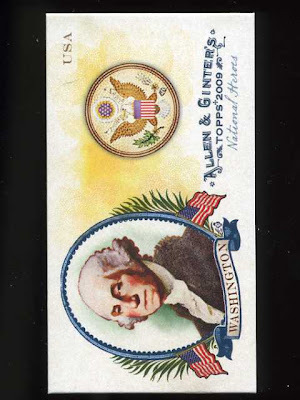 Cool card, but now whenever I think of George Washington, I can't help but recall Slater's rant on Martha Washington and her "cash crop" in the classic film Dazed and Confused. World's Biggest Hoaxes. This is one of the subsets I was looking forward to. 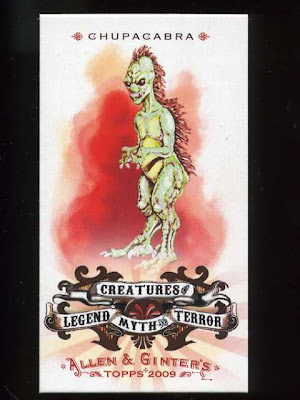 Creatures of Legend, Myth and Terror. Another subset I am semi-interested in. My favorite current player, both for his brilliant pitching and quirky media quotes. Wish it was centered a little better. 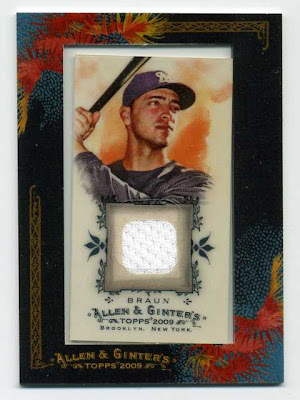 Ryan Braun game used jersey card. I like the darker frames this year. 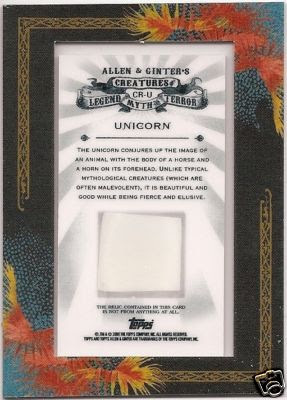 Since my Allen & Ginter cards won't be arriving until next week, I figured I might as well take a look over the 2009 Allen & Ginter checklist. It's a virtual novella, but a few interesting things stood out to me. The SP's are not official yet, but it looks like they are 301-350 once again. Nice and easy to remember. There are 104 different relic cards. Wow! 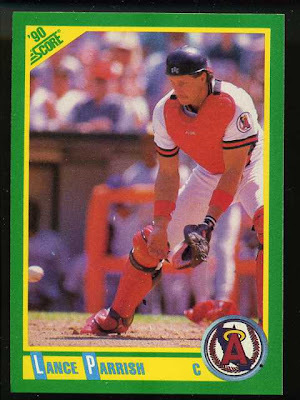 Speaking of relic cards, if you had to guess who was on the AGR-AR card, who would you think it would be? 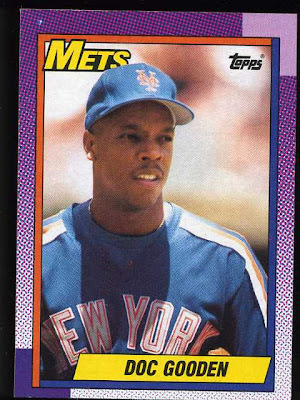 If you guessed Alex Rodriguez, you would be wrong. It's a different Alex...Alex Rios. 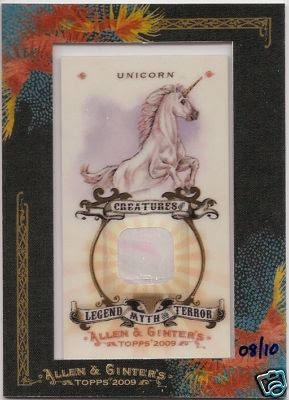 ARod's relic card got the AGR-AER number. I know this is probably due to Rios coming before Rodriguez alphabetically, but it could be fitting due to ARod's recent issues and his absence from the starting lineup of the 2009 All-Star game. The "National Heroes", "Creatures of Myth, Legend and Terror" and "World's Greatest Hoaxes, Hoodwink's and Bamboozles" sets all look interesting to me. 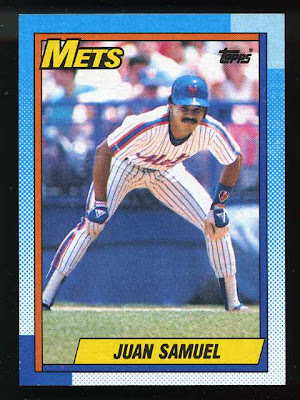 I'll probably try to complete those sets just to read the stories on the backs of the cards, even if they have nothing to do with baseball or even sports in general. There are also two unannounced surprise subsets, "Inventions of the Future" and "Extinct Creatures". These two sets seem to be rare so far as the singles seem to be going for between $7.50 and $20.00+ on ebay and I have yet to see a complete set of either one. Now all we need are some unannounced retail only subsets and this could be the most complicated set ever! Tony, better make sure your fly is zipped! 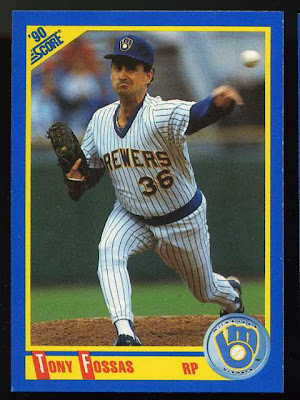 Now we know where Kevin Appier got his windup from. Didn't Rob Lowe play Joel Youngblood as a hockey player? 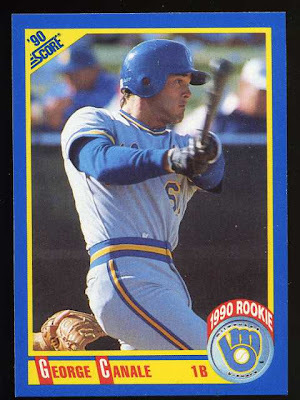 Another rookie card, what are the odds? 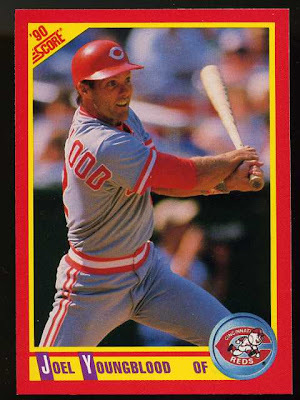 A pretty decent hitter in his time. 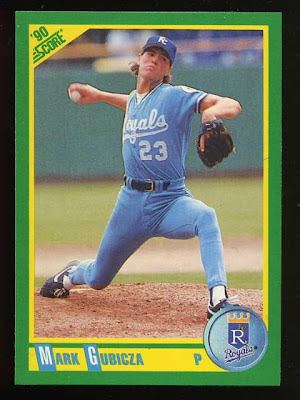 A pretty decent pitcher in his time. 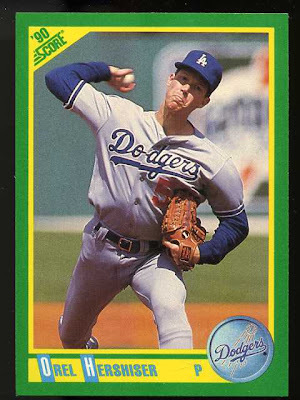 One of my favorite pitchers from my favorite team! There are more, but it gave me an error when trying to upload more images. I guess I hit the limit. I'll post the rest tomorrow. 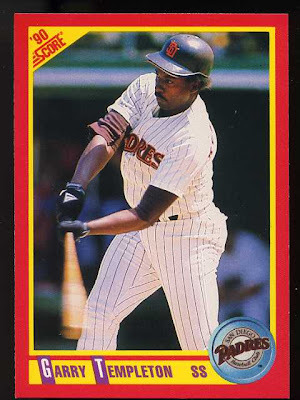 When two Phoenix police officers entered an abandoned house that was being foreclosed on, they thought they had hit the jackpot when they found several vintage baseball cards glued to a door (yes, glued to the door!). The younger officer was fired, but was re-instated with a suspension. The older officer quickly retired before any disciplinary action could be taken. 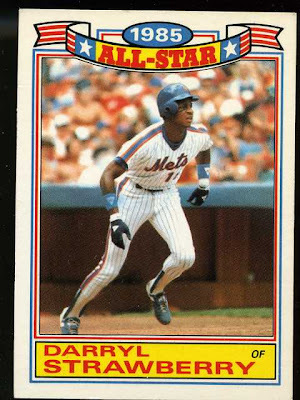 The cards included several hall of famers including Willie Mays, Ernie Banks and Don Drysdale, but due to the poor condition of the cards, the estimated value of all 44 cards was (drum roll please)...$15.00. OK, so the Nationals aren't quite the Persians, but it was pretty impressive anyway.